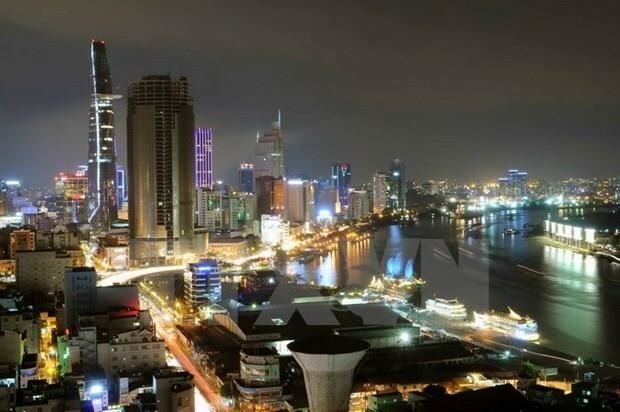 Many foreign investors, including the UK’s Savills Estate Agents, have regarded Vietnam and Ho Chi Minh City in particular as a promising market in the property sector, Savills Group CEO Mark Ridley has said. A corner of Ho Chi Minh City. Mark Ridley told Vice Chairman of the HCM City People’s Committee Le Thanh Liem on April 11 that the group hopes for more opportunities to lure potential investors to Vietnam and its southern metropolis, contributing to the city’s development in the future. In the over two decades since it first stepped foot in Vietnam, Savills has always received support from the Vietnamese Government’s policies, he said, lauding the country for its efforts in perfecting mechanisms and investment environment. Mark Ridley called for further support from HCM City’s leaders and relevant departments and agencies in order to create more opportunities for foreign investors in the local real estate market. For his part, Liem highlighted Savills Group’s potential, as well as its contributions to Vietnam’s development over the years. The official briefed his guest on the city’s infrastructure development, stressing that HCM City stands ready to welcome both domestic and foreign investors and consultants to cooperate with the locality in urban infrastructure development. HCM City will always improve its investment environment and create the best possible conditions for foreign investors to operate for a long term in the city, he pledged. Founded in the UK in 1855, Savills is one of the world’s leading property agents. It spans across the globe, with 600 offices across the Americas, Europe, Asia Pacific, Africa, and the Middle East.